This game jam is for all monophalangeal and greater beings seeking to just jam out and experience one button fun. 1. Submit a game that only uses ONE button! 2. THERE'S ONLY ONE RULE! CREATE IN 3 Dimensions, Create in 2 D! Why not go 1D! N D? VR sure! AR definitely. Please make your submissions free, after the jam you can charge whatever you want. Try to submit games that do not require installing, just executables that run as is. - " I like big buttons and I can not lie "
Your good friends are lost in this complex cave maze, run inside it to find them quickly! 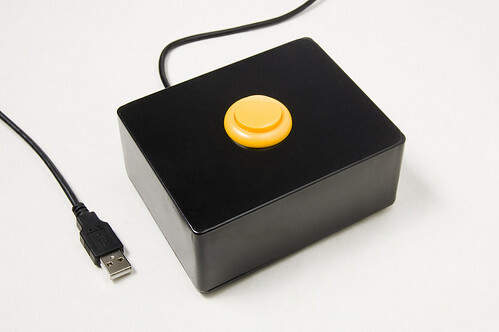 One button to Defendo your Roto. Galactic exploration for the budget-conscious! Nonsense happens all the time and all is well. A fun little flash game. Shoot your golden chainsaw dong at your sworn enemy (or AI) in this traditional mayan game! [JAM GAME] A short game about consent. Use your ability to avoid collide with the walls. A song of cows and fire. Extreme western steam train tapp experience. What if you could defeat any enemy with a push of a button? A short game about growth. Defy Gravity and Aliens in your Emoji Spaceship! In space, no one can hear you being bad at darts because you're so drunk. Made for the One Button Game Jam. A simple dungeon crawler roguelike -- with only one button input?! Be a laser shark! With only 1-button control! It's, uh, Flappy Bird meets Joust! Nuclear fun for the whole family! One button game jam adventure of Deckard and Leah. Continue the search for alien life with your remote-piloted rover. Press a button -> explode. That sums it up nicely. Be an 8-Bit Jackson Pollock! Hot Potato: Don't be stuck with the potato when it explodes! A simple, colorful, 2D arcade game :) Made for the One Button Jam. Based on the hit elemetary school game. 1-4 Players. 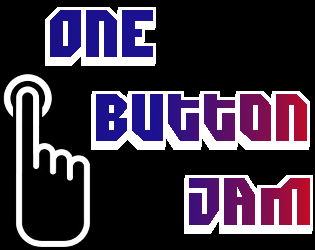 Palisade Studio's submission for the One Button Jam of August 2016. A one-button flying game! Navigate randomly generated levels! Infinite shooter with blobs 'n such. Blast the Cannon Ball through 5 levels! Imagine, just imagine...........catching fish with fruits. A reflex based puzzle game in which you protect your heart holder with cryptic magics. 1 Button Robot Army: Rise of the Su-Bots! Change your color to change your destiny IN SPACE! Will the teacher catch you cheating? Block breaker, with a cannon! Mini-remake of Open/Super Hexagon on Clickteam Fusion 2.5. No dejes que te pise un color! //// Don't let a color step on you! As a man machine you will jump and shoot. All with one button. Oh crap, it's zombies! Too bad you're too drunk to shoot straight! a game where you are a stickman on a mission! A game where you dab, in 3D this time. A multiplayer game of timing. An egg-hatching, monster-battling writing incentive. Help the penguin avoid the icebergs to the rhythm of the music. You are Space Cat! Take down the aliens that are hunting you! A short game parodying modern art. You're a yellow ship with a curvy laser. Your controls, one button. Survive the space beat while performing attacks to the rythm of the song!